Ugh. This has been a sad year with regard to the cats in the Otto household. 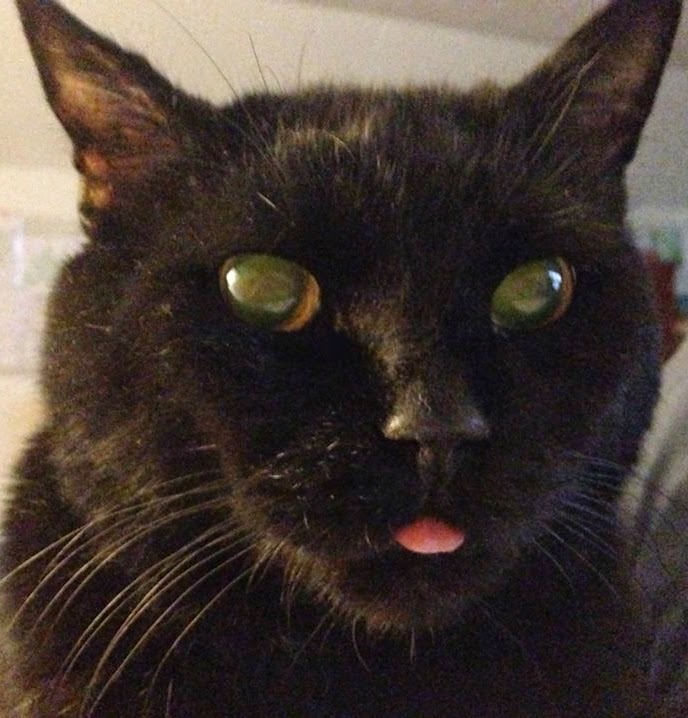 Back on June 6, our 16-year-old Salem died. This afternoon we lost Floyd, who was 12 or 13. We were his second family. His first owner was a World War II veteran (and, yes, the irony of today being Veterans Day is not lost on us) who had been living in Lancaster County. When his first owner died, Floyd was evicted from the premises and only saved by the grace of the volunteer group Pet Guardians. On the day we adopted him in June 2011, I sat down on the garage floor so that Floyd could get to know me at his own pace. He climbed onto my legs and promptly took a nap. Floyd's best trick, which we didn't teach him, was to stand up on his hind legs like a prairie dog and beg for attention. He was quite good at it and was always rewarded with a good scratch behind the ears or a belly rub. My sympathies on Floyd's passing. This past year we lost our 13 year old Golden Retriever. I felt like my arm had been cut off. I still get sad when I think about him. Pets are such a gift to us. Thanks for your kind words, Nina.